Beat in the vanilla paste, and then the eggs, one by one. Mix the flour with the salt and baking soda. Add to the wet ingredients and mix just until combined. 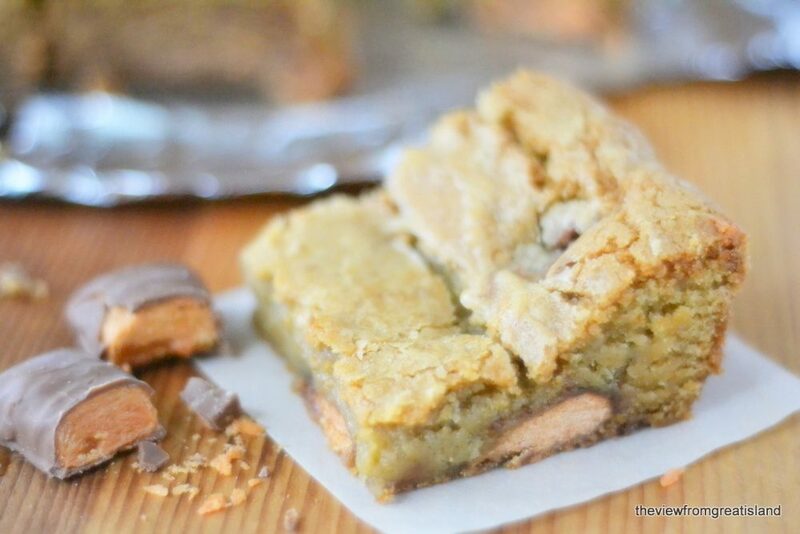 Fold in the candy bar pieces and then spread the batter into a lightly greased 8x8 square baking pan. I like to line mine with foil or parchment paper, with overlapping ends for easy removal, but it's not necessary. Bake for about 40-50 minutes, until puffed and golden.